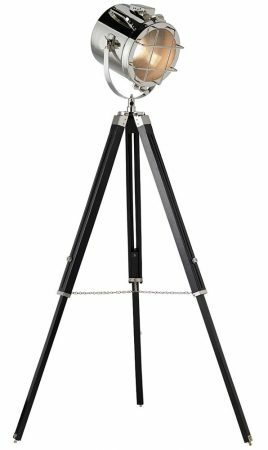 This Endon Nautical cinematic tripod floor lamp in polished nickel and matt black features wood and steel construction and stylish on-trend design. A large floor lamp boasting three adjustable wooden tripod support legs finished in matt black, with hinge detail and large adjustable lamp head finished in polished nickel. The lamp features protective bars on the lens and a stirrup mount for an authentic look. Lights, camera, action! 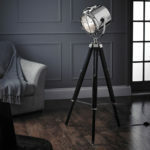 This Hollywood style floor lamp will be the talking point in any modern lounge area. Just add a roll of red carpet, a directors chair and a clapper board to complete the golden age of film look! Height adjustable from 1170mm to 1720mm and has a very handy built-in foot operated in-line on / off switch. 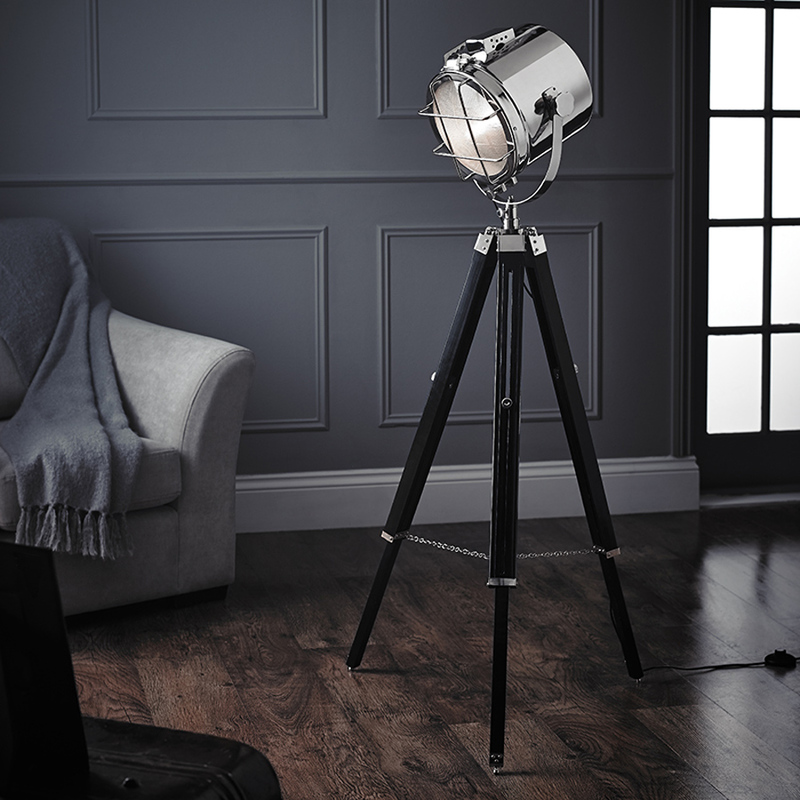 Manufactured by Endon Lighting, a design led business who lead the way in style and innovation to create an impressive range of products such as the Nautical cinematic tripod floor lamp in polished nickel and matt black you see here.